The lovely lady said it was "time for some queso." I drove by this historic location in the Montrose area of Houston today and those words echoed in my head. It's time for some queso, and probably some delicious flank steak wrapped in tortillas with grilled onions and bell peppers, smothered in a spicy red sauce. That sounds like a good time. So much history in that building. 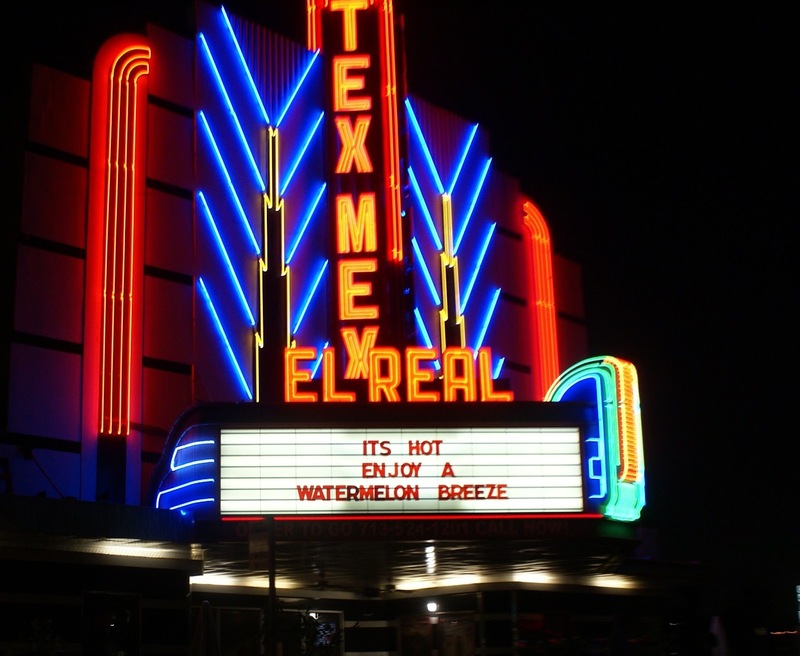 Long before you could chow down on some tasty Tex-Mex, that place was the Tower Theater, one of the smaller live music venues in the area in the 1980s. 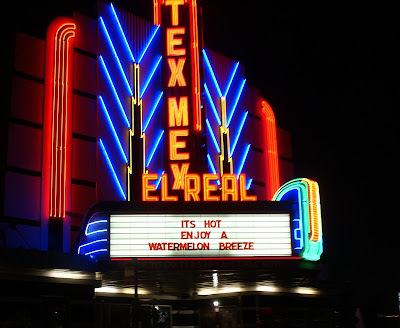 The first time Stryper ever played Houston as the Yellow and Black Attack in '84 or '85, they played in that building. Opened in the 1930s, it's been a movie theater, a nightclub, and years later you could rent movies in the place after they turned it into a Hollywood Video. Now, it looks like a pretty good place for some queso. And a Watermelon Breeze, whatever that is.